A world of adventure stands before us! With rugged, muscular styling, legendary 4x4 ability and a host of pioneering tech, the new Jeep Renegade is the ultimate choice for those searching for true off-road ability tailored to the modern age. It’s a car for all occasions: you can transition flawlessly from treacherous terrains to the city streets, as the Renegade’s choice of Multiair petrol and Multijet diesel engines provide faultless performance for complete range of driving styles, with no sacrifice in economy. 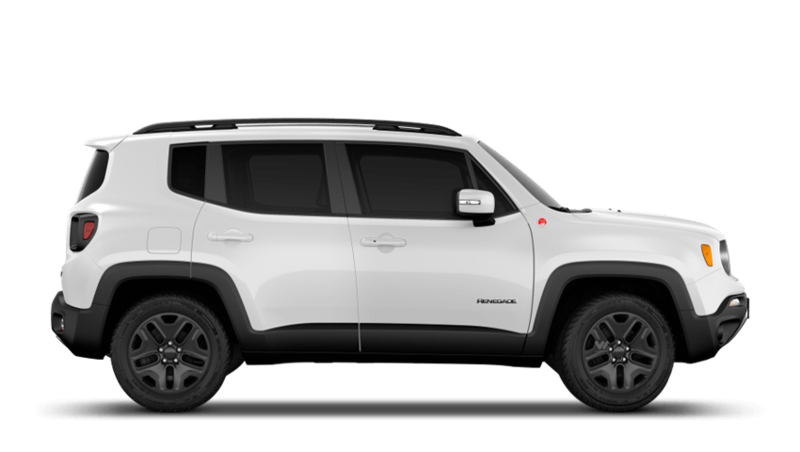 The new Renegade is the smallest of the Jeep range, yet still boosts a roomy and comfortable interior decorated with state-of-the-art equipment for infotainment and safety. And with a choice of colourful trims to suit your tastes, you’ll feel at home no matter where the road may lead. The Jeep Renegade is designed with adventure-seekers in mind. That’s why there’s a host of customisation options available to adapt to your active lifestyle – from a Hitch-Mount bike carrier to a ski and snowboard carrier. There’s also a choice of dynamic decals and styling tweaks to choose from, so you drive away in a Jeep Renegade as far out as your way of life. Discover the ultimate 4x4 driving experience from behind the wheel: book your test drive with Richard Hardie in Newcastle & Sunderland today. Contact your nearest Centre today to find out more; our team are always happy to hear from you.